The event was graced by The Governor Lamu County, MP Lamu East, High profile officers from Safaricom Foundation Trustee, Area MCA and CEC’s. The county Government partnered with Safaricom Foundation to initiate the project that will accommodate and nurse pregnant women for 10 days to their delivery date. This intends to reduce the maternal mortality rate in Lamu County and also ease the challenges faced by pregnant women to reach the facility during delivery. 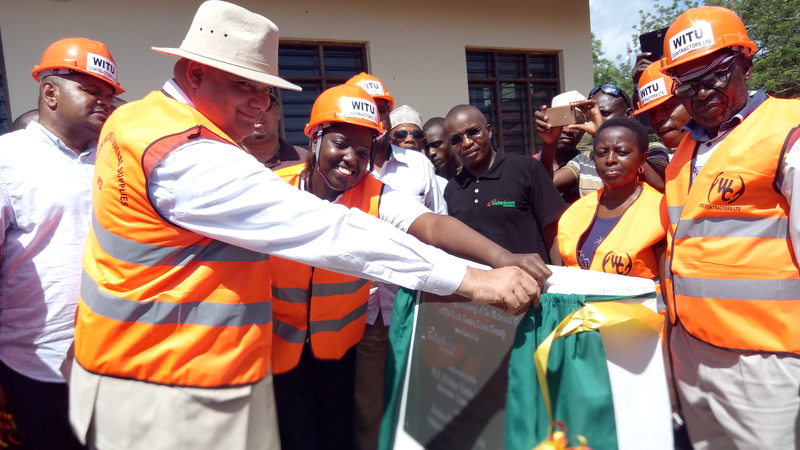 Along side laying a foundation stone for the maternal shelter, The Governor also Launched the NHIF universal cover for the people of Lamu. H.E stated that the project will not only be initiated in Witu but across Lamu County. The house will capacitate twelve expectant mothers. The Move on implementing his Manifesto and the Big Four Agenda on Health Care is real. The Governor also promised to implement the 30% tender Rule to the Youths, PWD, and Women. He also said that he will fight the job crises in Lamu by creating 1000 slots for youths to be appointed to clean the towns in all Wards, Offering Driving training and license to the youths of Lamu.